The twaite shad Alosa fallax (Lacepede, 1803)-family Clupeidae- is distributed throughout the Mediterranean as well as the Black Sea (Aprahamian et al., 2002). The species is generally pelagic, with juveniles remaining close to shores and estuaries (Kottelat and Freyhof, 2007). Adults migrate in Spring from the sea to the rivers for spawning, showing a very polymorphic attitude in choosing Italian spawning areas distributed from few to hundreds of kilometers from brackish water. Besides anadromous groups, populations that spend their entire life cycle in freshwater environments are also existing (Faria et al., 2006). In fact, two “ecological forms” occur in freshwaters or seas of Italy and the western Balkans: the migratory form, known as “Cheppia” and the landlocked form, called “Agone” (Bianco, 2002). The landlocked form from Northern Italy was successfully introduced into lakes of central Italy about 75 years ago; whilst in Sardinia a population derived from the migratory form was established about 80 years ago in the artificial Omodeo Lake (Bianco, 2002). Taxonomy of Italian shads has been debated, considering that Gandolfi et al. (1991) recognized two or three different subspecies based on morphometric analysis: Alosa fallax fallax (Lacepede 1803) living in Atlantic European regions, Alosa fallax nilotica (Geoffroy 1827) for anadromous Mediterranean populations, and Alosa fallax lacustris (Scopoli 1786) for residential ones. On the other hand, Kottelat and Freyhof (2007) described the Italian landlocked populations as distinct species with the name of Alosa agone, not a subspecies or a variety of A. fallax, and considered A. fallax lacustris as a synonym. It must be remarked that the separation among the species A. fallax and A. agone was established on the basis of different habitats, life history and morphological characters, like gill rakers count (Kottelat and Freyhof, 2007). However, as stated by Bianco (2002), the taxa belonging to the “fallax” or “agone” complex are difficult to separate based on morphological characteristics, in absence of molecular data. In a recent paper published by Chiesa et al. (2014) mitochondrial haplotyping of cytochrome b gene fragment (Cytb) was carried out in landlocked and migratory Italian populations, highlighting the occurrence of a single phylogenetic lineage within Italian waters. To confirm this hypothesis, additional samples from the landlocked population of Lake Omodeo and from anadromous ones of Taro and Po Rivers, were analyzed through cytochrome b sequencing, and compared to the previous dataset, to assess genetic diversity at intraspecific level. Eleven shad samples were collected by electrofishing in Lake Omodeo, Central Sardinia (3 samples), Taro River (4) and Po River (4). The latter two populations were already analyzed in our previous paper (Chiesa et al., 2014). From each live individual, a portion of fin tissue was collected, without sacrifying animals. Fin tissues were conserved in absolute ethanol with ice during transportation and then stored at -20°C in the laboratory until processing. Existing data of 7 Italian populations from Northern and Central Italy (Chiesa et al., 2014), both anadromous and landlocked, were also re-analyzed in the present study. A total of 76 A. fallax sequences from Italian samples were included in the new analysis, plus other reference sequences from Genbank (A.N. AY937212-14; HM488340; DQ419764-67), for a complete dataset of 84 sequences. High molecular weight genomic DNAs of new samples were extracted and purified by Wizard genomic DNA Purification kit (Promega). DNA quality was visually inspected by 1% agarose gel electrophoresis in TAE buffer and and by spectrophotometry at 260–280 nm. The extraction procedure yielded not less than 40 ng/ml of HMW (high molecular weight) DNA. Cytochrome b gene fragment was amplified using primers Alocytbf1 and Alocytbr1 (Faria et al. 2006), which amplify a 515 bp fragments. Detail amplification protocol is reported in Chiesa et al. (2014); FW and RV fragments sequencing was performed by Macrogen Europe Lab (Amsterdam, the Netherlands). The Minimum Spanning Network (MSN) was performed by means of TCS 1.21 and visualized by yEd 3.16 graphical software. The evolutionary history was inferred in MEGA 7.0 (Kumar et al., 2016) by using both the Maximum Likelihood (ML) method based on the Jukes- Cantor model (Jukes and Cantor, 1969) and Neighbour Joining (NJ) method (Saitou and Nei, 1987), estimating standard error by a bootstrap procedure (1000 replicates). The Cytb gene fragments were aligned unambiguously for 420 bp. The overall number of mutations among aligned sequences of A. fallax was six, at positions 240, 303, 324, 426, 531, 554: Single Nucleotide Polymorphisms (SNPs) numbering is congruent with reference literature (Alexandrino et al. 2006, Chiesa et al., 2014). The Omodeo Lake samples presented the same SNPs profile of the previously described A. fallax hap1 (Genbank A.N. JF681126, see Chiesa et al. 2014), whilst the Taro River and Po River new samples showed the SNPs profiles of A. fallax hap3 and A. fallax hap5 (Genbank A.N. JF681128 and JF681130, see Chiesa et al. 2014). These results were confirmed by TCS analysis (Table 1 and Figure 1): a single haplogroup was identified for A. fallax sequences, including eight haplotypes, six of them characterizing Italian populations (A.N. JF681126-31 see Chiesa et al. 2014). Table 1: Cytb haplotypes identified for A. fallax. For each haplotype the Acronym, the Genbank Accession Number, the original source and the frequency is shown. The * symbol indicates the specific haplotype occurring in the new samples from Omodeo Lake, Taro and Po Rivers. Figure 1: Minimum Spanning Network (MSN) of Cytb gene sequences, visualized by yEd graphical elaboration. Each pie chart represents a specific haplotype, and the size is proportional to haplotype frequency. Different colours represent the proportion of samples from each analyzed population. Numbers indicate the position of each SNPs discriminating different haplotypes; black dot represents a possible intermediate haplotype, actually missing in the dataset. Populations acronyms are presented in the Legend, according to previously published data (Chiesa et al., 2014): CO=Como Lake; GAR and AG=Garda Lake; TR=Taro River; P=Po River; OM=Ombrone River; S=Piave River; MOD=Omodeo Lake. Literature data are referred to haplotypes described by Faria et al. (2006), not represented in Italian populations. A. fallax hap1, hap3 and hap5 were already described in other landlocked and anadromous Italian populations (Chiesa et al., 2014). Moreover, A. fallax hap1 and A. fallax hap3 showed the higher frequencies within the Italian samples (Table 1), resulting the most common haplotypes among those described. It must be remarked that the TCS analysis carried out on Cytb gene fragments did not indicate the occurrence of more than one statistically significant haplogroup within A. fallax, as previously observed (Chiesa et al., 2014). This result suggested the existence of a single evolutionary lineage within A. fallax haplotypes, as furtherly confirmed by Maximum likelihood (ML) and Neighbour Joining (NJ) reconstructions. ML and NJ phenograms (not shown) reflected the same topology, reinforcing the hypothesis of a phylogenetic separation among A. fallax and other congeneric species, especially A. alosa (Bentzen et al., 1993; Alexandrino et al., 1996, 2006; Faria et al., 2012; Chiesa et al., 2014; Rougemont et al., 2015), but showing no significant cluster separation among A. fallax haplotypes. Molecular data suggest that the separation of landlocked from anadromous populations could be recent, due to the drainage activities and dams constructions along the Po River, and the creation of the artificial Omodeo Lake. As already hypothesized by Gandolfi et al. (1991) and Faria et al. (2006), A. fallax could be considered as a single species characterized by high ecological, morphological and genetic plasticity. Thus, the species could be considered locally adapted and defining separated MUs (Fraser and Bernatchez, 2001; Moritz, 2002). Molecular analyses of landlocked twaite shad population from Lake Omodeo (Sardinia) showed the occurrence of a single Cytb haplotype. The samples from Lake Omodeo were characterized by the haplotype A. fallax hap1, already identified both in landlocked (Garda and Como Lakes) and anadromous (Piave and Ombrone Rivers) shads. The additional samples from Taro and Po Rivers showed the occurrence of two different haplotypes, namely A. fallax hap3 and A. fallax hap5, already described for other Italian populations. A. fallax hap1 and A. fallax hap3 showed the higher frequencies among all Italian haplotypes. These additional data confirmed the absence of geographic structuring and the existence of a single phylogenetic lineage (single haplogroup) among landlocked and anadroumous Italian populations. Consequently, the hypothesis of distinct taxonomic units within A. fallax group in Italian waters should be rejected on the basis of molecular evidences and the different populations most likely referred to specific Management Units. Authors are thankful to Dr. Flavio Orru, collaborator of University of Cagliari for recruiting rare samples from Lake Omodeo (Sardinia Island). Alexandrino, P.J., Ferrand, N., Rocha, J. (1996). Genetic polymorphism of a hemoglobin chain and adenosine deaminase in European shads: evidence for the existence of two distinct genetic entities with natural hybridization. Journal of Fish Biology 48, 447-456. Alexandrino, P., Faria, R., Linhares, D., Castro, F., Le Corre, M, et al. (2006). Interspecific differentiation and intraspecific substructure in two closely related clupeids with extensive hybridization, Alosa alosa and Alosa fallax. Journal of Fish Biology 69, 242-259. Aprahamian, M.W., Baglinière, J.L., Sabatié, R., Alexandrino, P., Aprahamian, C.D. (2002) Alosa alosa and Alosa fallax spp. Environment Agency, Bristol. Bentzen, P., Leggett, W.C., Brown, G.G. (1993) Genetic relationships among the shads (Alosa) revealed by mitochondrial DNA analysis. Journal of Fish Biology 43, 909-917. Bianco, P. (2002) The Status of the Twaite Shad, Alosa agone, in Italy and the Western Balkans. Marine Ecology 23, 51-64. Chiesa, S., Piccinini, A., Lucentini, L., Filonzi, L., Nonnis Marzano, F. (2014) Genetic data on endangered twaite shad (Clupeidae) assessed in landlocked and anadromous populations: one or more species? Review in Fish Biology and Fisheries 24, 659-670. Faria, R., Weiss, S., Alexandrino, P. (2006) Molecular phylogenetic perspective on the evolutionary history of Alosa spp. (Clupeidae). Molecular Phylogenetics and Evolution 40, 298-304. Faria, R., Weiss, S., Alexandrino, P. (2012) Comparative phylogeography and demographic history of European shads (Alosa alosa and A. fallax) inferred from mitochondrial DNA. BMC Evolutionary Biology 12, 194-214. Fraser, D.J., Bernatchez, L. (2001) Adaptive evolutionary conservation: towards a unified concept for defining conservation units. Molecular Ecology 10, 2741-2752. Gandolfi, G., Zerunian, S., Torricelli, P., Marconato, E. (1991) I pesci delle acque interne italiane. Ministero dell’Ambiente-Servizio Conservazione Natura, Unione Zoologica Italiana e Istituto Poligrafico e Zecca dello Stato, Roma. Jukes, T.H., Cantor, C.R. (1969) Evolution of protein molecules. In Munro, H.N., editor, Mammalian Protein Metabolism, Academic Press, New York, p: 21-132. Kottelat, M., Freyhof, J. (2007) Handbook of European Freshwater Fishes. Kottelat, Cornol, Switzerland and Freyhof, Berlin. Kumar, S., Stecher, G. and Tamura, K. (2016) MEGA7: Molecular Evolutionary Genetics Analysis version 7.0 for bigger datasets. Molecular Biology and Evolution 33, 1870-1874. Moritz, C. (2002). Strategies to protect biological diversity and the evolutionary processes that sustain it. Systematic Biology 51, 238-254. 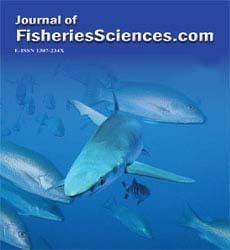 Rougemont, Q., Besnard, A., Baglinière, J., Launey, S. (2015) Characterization of thirteen new microsatellite markers for allis shad (Alosa alosa) and twaite shad (Alosa fallax). 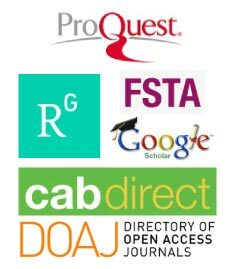 Conservation Genetics Resources 7, 259-261.